Dr Lee Walker is a former cosmetic dental surgeon with more than 14 years’ experience in non-surgical facial aesthetics. He is clinical director at B City Clinics in Liverpool. 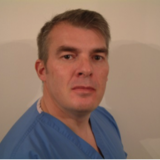 Dr Walker regularly presents and lectures at conferences and aesthetic training events, and in 2014 founded the Northern Aesthetics Practitioners’ Group.